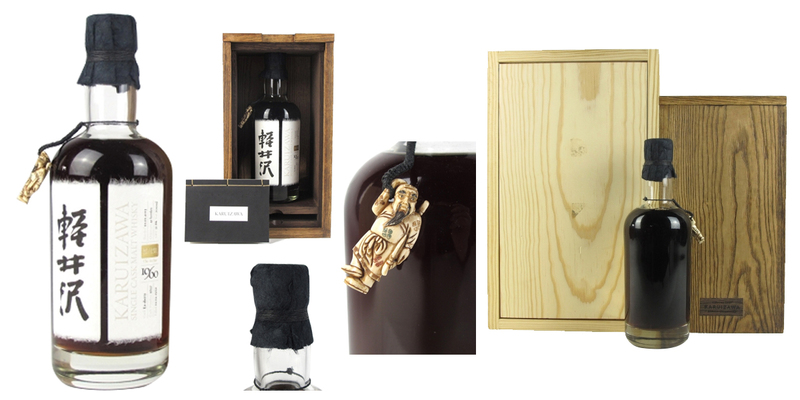 On the 5th of April, an auction featuring the world’s largest and most exclusive collection of Karuizawa whisky led whisky experts and passionate collectors to the web. The auction ended on Monday 17th of April, and gave us whisky lovers a lot to talk about. The winning bids amounted to almost £800,000, far above the estimated £500,000 the auction house expected. The UK based auction house, Whisky Auctioneer, was the “battlefield” of the fierce bidding wars that ensued, as bidders attempted to get their hands on some of the rarest Japanese whisky in the world. While the Karuizawa distillery has always been known for its deep and perfectly balanced whiskies, demand for its products has truly soared in past few decades, especially so since production was halted in 2000. In 2011 the distillery was shut down completely, the equipment dismantled, and any whisky still maturing was sold. After these events, Karuizawa whisky became synonymous with exclusivity and rarity throughout the whisky world. With around 300 bottles, this collection featured almost every expression the now silent distillery ever produced. All of the distillery’s production decades were covered, with 12 single cask releases from the 1960s, 30 different bottlings from the 1970s, and the remaining bottlings spanning from the 1980s all the way to the millennium. A small selection of bottles which were only ever available from the distillery shop was also included in the auction. Over the auction period, bids were quick and big, and some of the rarest bottles in the collection sold for astronomical prices. Happy Karuizawa collectors filled in some gaps in their collection, and more than a few investors got their hands on some pretty rare Japanese whisky. Here are the stars of the auction. This is the oldest Karuizawa bottling to ever go on auction, and one of only 41 bottles ever released. Each bottle was individually named, with a matching carved Japanese figurine strung around the bottle’s neck. This particular bottle was named ‘The Archer’. Distilled in 1960, added to the cask on the 1st of February 1960, and bottle on the 1st of January 2013, after aging for an astonishing 52 years. This bottle was, by far, the leader in the colossal auction, with the final bid amounting to 4 times more than any of the other bottles. Unfortunately, this is just one of those one-of-a-kind bottles that is available on very rare occasions. In second place was the limited 1963 single cask release, distilled in 1963 and bottled in 2014, following 50 years wonderful maturation. Aged in a single sherry cask which only filled 131 bottles, this is one of the rarest Karuizawa bottles available. This was made clear during the auction, with the winning bid reaching over £24,000. Sadly, you’ve missed your chance to ever get your hands on this wonderful bottling! Just kidding, we have it waiting for you right here. Or would you prefer it in a set? Last but not least, we give you the Karuizawa 1964 single cask release. Aged for 48 years in a sherry cask, and bottled at cask strength, with only 143 bottles ever filled. This particular release was an exclusive bottling for Wealth Solutions of Poland, and the box is made from Polish black fossil oak. This is one of the rarest Karuizawa bottles available today, evident from the bidding war that ensued before the auction’s end. While you might have missed this particular 1964 release in auction, all is not lost. There are always more options. How about this 48 year-old Karuizawa bottle distilled in the same year? Or this vintage 41 year-old? Even though the auction has ended, many extremely old and rare Karuizawa bottles are still available for die-hard fans of the distillery. Our Karuizawa collection is one of the largest in the world, so there’s a big chance you’ll find exactly what you’re looking for.